Work has been great since January. I’ve been busy and interested and earned enough to pay the bills, but some of the stuff other than the next deadline has fallen off the to-do list and it’s time to get back on. Also, work is a bit quiet at the moment so I need to attend to business development. Arup’s algae powered building – wouldn’t other sources of biomass be cheaper/easier/have a lower embodied energy? 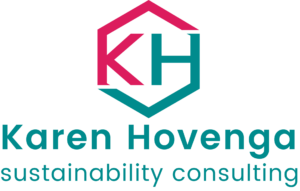 Levers for behaviour change – I’m always interested in the theory behind getting people to use the nifty sustainability measures we specify for buildings or to adopt the most effective sustainability measure of all – reduction! Getting tenants to take on NABERS – this one is dear to my heart right now. My business development push is to take advantage of the rebate available for tenants to get a NABERS rating. Trigen project in Sydney – I’m a bit ambivalent about these projects lately. I’ve been following BZE’s critique and some of the Coal Seam Gas issues and starting to feel like trigen is an outdated technology that could be responsible for some nasty sustainability outcomes. OTOH, I don’t really have a good handle on precinct based, metropolitan, distributed generation, renewable alternatives. So maybe we can just hope that coal seam gas isn’t being used for these systems and spend some serious research time working out good sources of biogass. Oh, and energy consumption reductions! Changes to the PVC credit in LEED. Interesting for how it seems to have been handled here is Australia. It reminds me of the controversy around the GreenStar timber credit. Following a link from the Fifth Estate, I had a quick read of the NAWIC What Women Want in a Construction Career discussion paper. Hmmm, I think they’re on the right track but they seem to have left out my favourite suggestion; Make it easier for men to have careers and be carers. If more men in our profession worked part-time, or left work early to pick up children from childcare, or took 6-12 months off work for parental leave, then the entire workforce (and their families) would be better off. It would develop the structural change needed to encourage more women to do this interesting and rewarding work. LinkedIn provided me with a new blog to read. I got sucked in by the title, “Freerange working“. The blog post was just a report on the latest workplace design fads, but I was interested because I’ve been living it for the past few months and thinking about how to make this model work for a larger practice. I don’t want to work on my own for the rest of my life, but I’m really enjoying spending the day in bed, or the couch, or the kitchen table, or at the library or my mother’s apartment. If I get an employee (one of my business goals) how do I get good value out of them, support them and give them the opportunity to work from bed too? Then I went to the GreenCities 2013 website to see if videos of the presentations were available like they were last year, but was disappointed to find that they’re only available to delegates. So I rang the GreenCities organiser and suggested that they run a low cost movie night with the presentations. That seemed to be received well. I hope I can afford to go. Briana did point out that there are some presentations coming to Architel and certainly, there are some from previous years that I’ll look at soon. I’m sure there’s more to read and comment on but perhaps I’ll do some (other) work now.